CatSmart is a comprehensive cat store based in Singapore providing a wide range of competitively priced cat supplies and unique cat services including grooming for all cat lovers. Whether it’s people who work for us, or people who work with us, we value honesty, passion and the desire to explore. If you are passionate about pets, customer satisfaction, general administration and operations, CatSmart would like to hear from you! 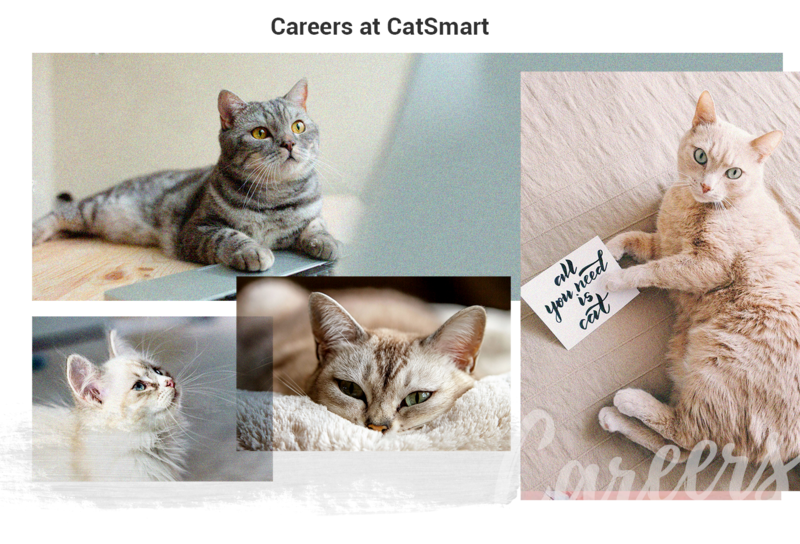 Whether you are a hands-on person or an academic person or a combination of the two, you could be the kind of expert CatSmart is looking for. Come join a company who cares about you and who wants to help you. With CatSmart, you are family! - To develop creative videos and animations using multiple concept. - Conceptualising and creating high quality video content. - Assisting the team throughout the production process of creating, editing and presenting motion graphics. - Create simple graphic designs for social media content. - Proficient in Adobe creative suite (Premiere, After Effects, InDesigns, Photoshop and Illustrator). - Dedicated to deadline and have great time management to always be on schedule. - Highly motivated, fun loving team player. - A keen eye for details and crafting. Email us at enquiry@catsmart.com.sg to apply for any of the roles above.